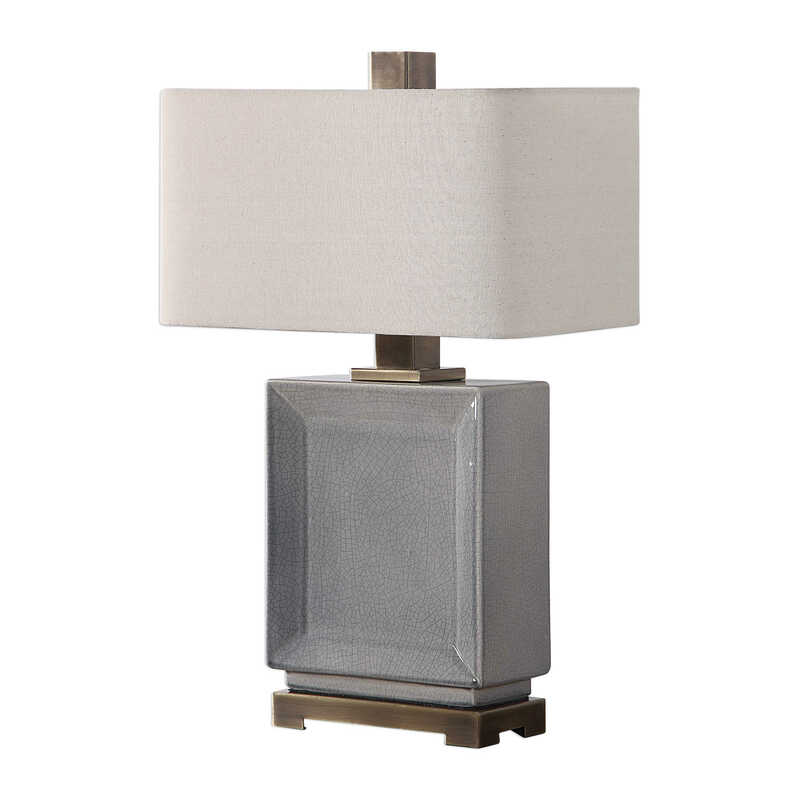 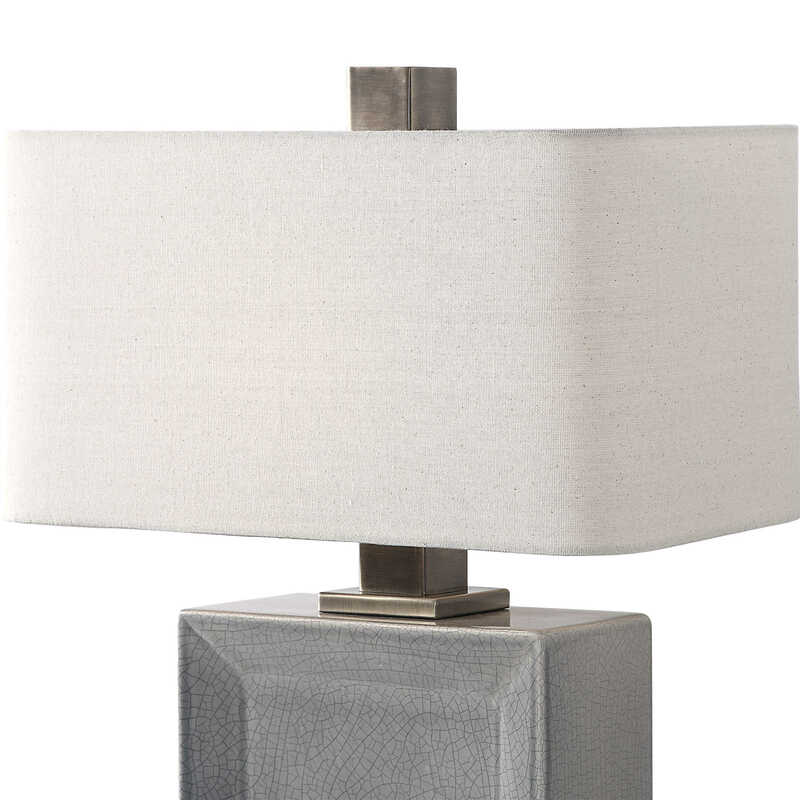 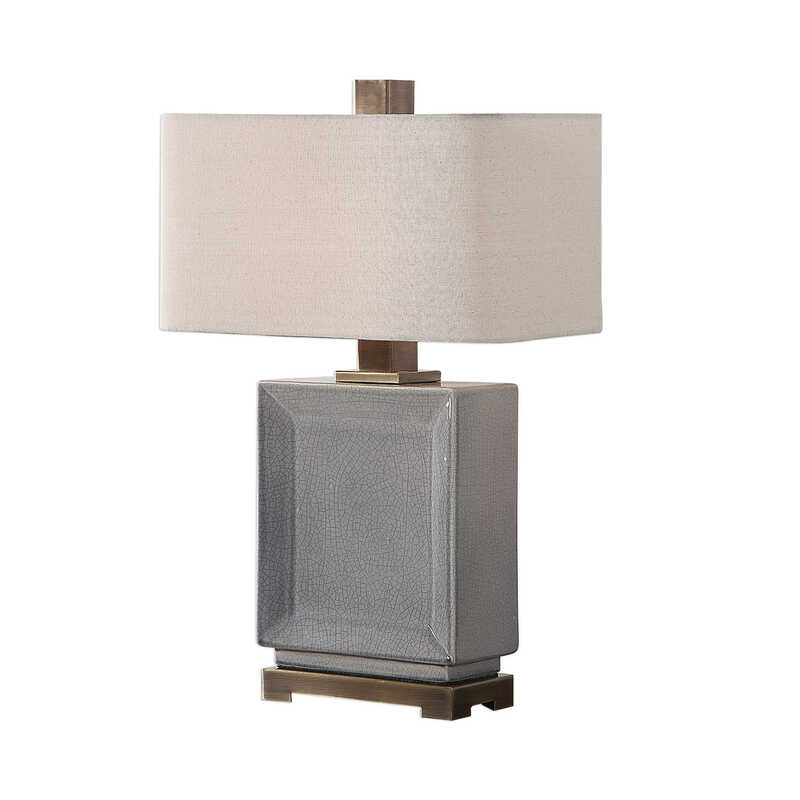 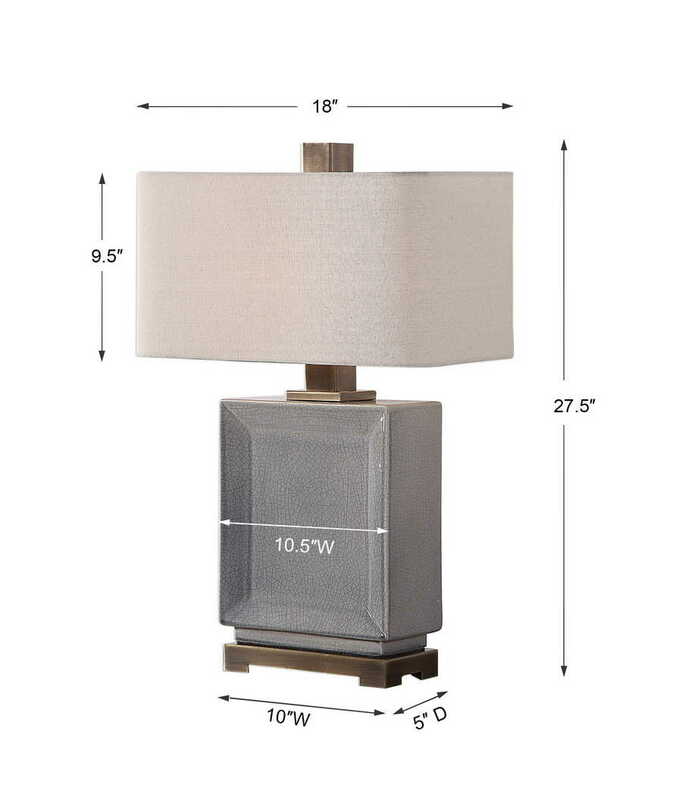 This contemporary table lamp is accented by clean lines and a subdued color palette. 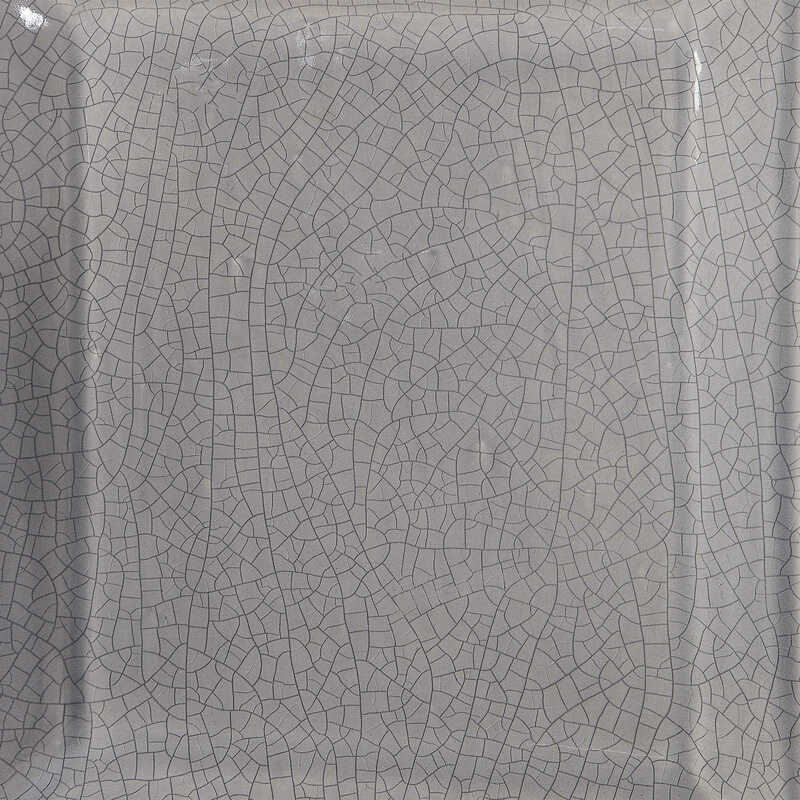 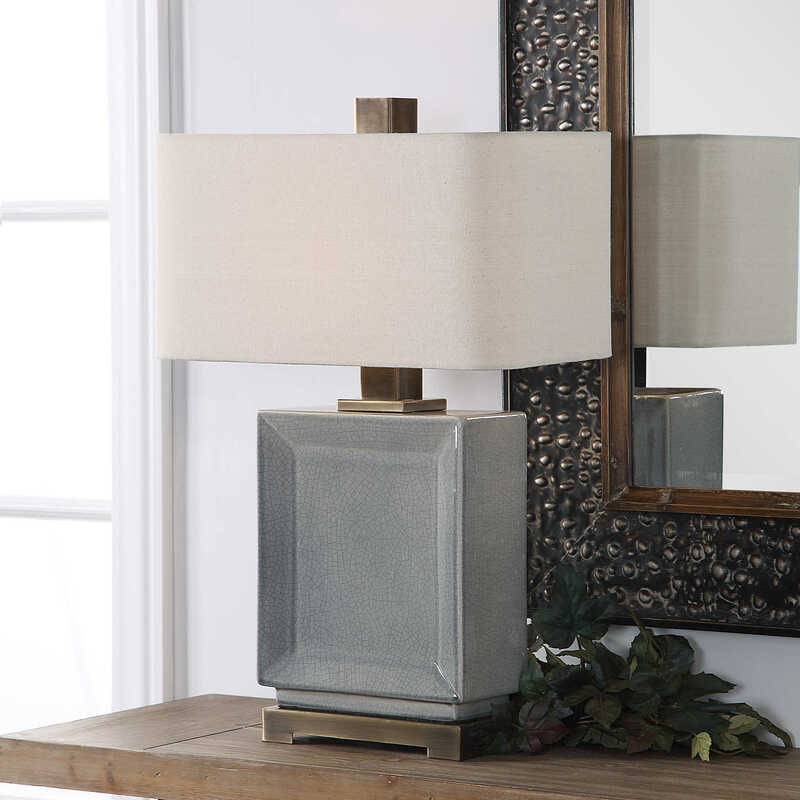 The rectangular ceramic base has a crisp, inset detail finished in a crackled gray glaze accented with antique bronze details. 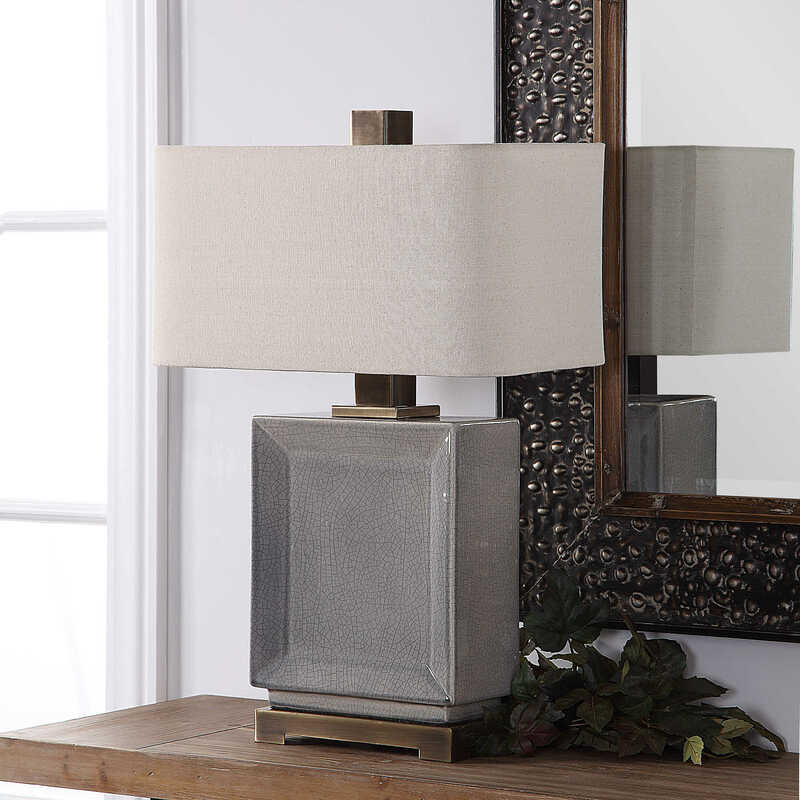 The rectangle hardback shade is a light beige linen fabric with natural slubbing and curved corners.